Canoa Quebrada means 'broken canoe' in Portuguese. Canoa Quebrada is known as the pearl of the east coast of Ceará, Brazil, an international tourist beach resort 164 km from Fortaleza, in the municipality of Aracati. This small fishing village, among dunes and cliffs, has amazing views and is very popular with tourists from Brazil and other countries alike. The main street of Canoa, where most accommodation, restaurants and shops are concentrated, is popularly known as Broadway, although it's real name is Rua Dragão do Mar. Canoa Quebrada is rated as the most important tourist attraction of the state, after its capital Fortaleza. Tourist activities include outdoor activities such as excursions in dune buggies, horse riding, sailing in a 'jangada' boat, mountain biking, sandboarding, kitesurfing and windsurfing. The location is served by Dragão do Mar Airport, located near Aracati. The region’s climate is semi-arid. The average annual temperature is around 80 °F – with an average annual high of 100.4 °F, and a low of 69.8 °F. The sun is present almost all year long, with rain usually only between March and May. Buses to(6, 9:30, 11AM, 12:30, 2:30, 5:30PM)and from (6, 8:30 11AM, 1:30 4:30 5:30PM) Fortaleza 6 times daily by São Benedito tel +55 85 3444 9999, about 3,5 hours, R$18,50. An alternative is to jump off any bus that passes Aracati, and switch to frequent minibuses for the last bit to Canoa. Take one of the minibuses with daytrippers from Fortaleza, but they will charge you return price, R$40. Departure Fortaleza 7:30AM, Canoa (bus station) 4PM. 2,5 hours. From Fortaleza, take the road CE-040. Walk along the beach in either direction. Note that certain stretches become partly flooded on high tide. Your knees will get wet. A cruise on the river Jaguaribe with a buggy tour before and after and lunch (not included) in Fortim. Departure 10AM, return 4PM. 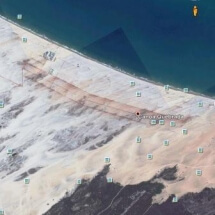 Some of the best properties for sale are located in the development "Loteamento Paraíso da Canoa", which is located at Canoa Quebrada. Lots of land measuring 13 meters wide by 33 meters long, with a total area of 429 square meters (4,617 square feet). 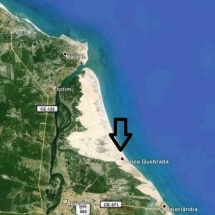 To learn more about the properties available for sale in Canoa Quebrada contact us at info@oliveiralawyers.com. 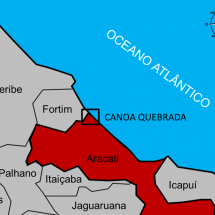 Do you want to know who is the legitimate owner of a property in Canoa Quebrada? A deed (escritura) registered at the Registration Office (Cartório de Registro de Imóveis) is the official indication of ownership. We can retrieve the most recent version of the deed for any properties in Brazil. If you want to buy or sell a property in Brazil without being physically at the location, you will need someone acting as a Proxy. 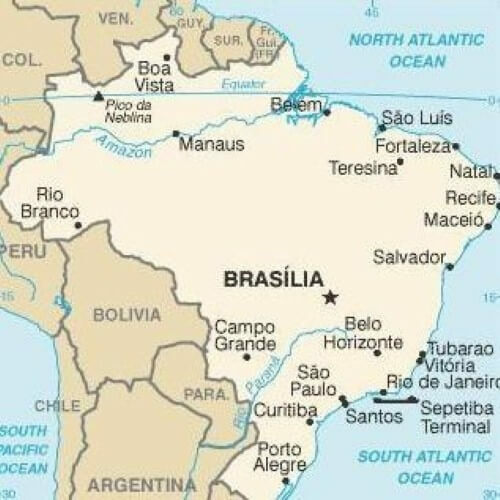 We have represented foreign buyers and sellers in transactions in Ceara and other parts of Brazil. A purchase and sales agreement is the first step towards acquiring or selling a property in Canoa Quebrada. We can draft a proper agreement so you can have a worry-free transaction. Buying real estate in Brazil is a tricky business. Aside checks on the property you also need to make sure that the sellers don't have any claims (active or potential) against them. You evaluate the property of your interest so you know how much you should pay for it, and if the property has a solid paperwork so you don't face any legal headaches later on. We offer advisory services on specific questions you may have or we can also handle the entire purchase or sale procedure on your behalf. Unpaid taxes may result in a judicial sale of your property at a public auction. Make sure you keep your taxes paid to avoid losing your property. 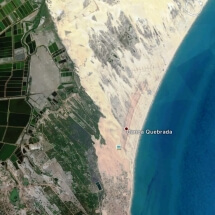 Many foreign buyers acquire plots of land in Canoa Quebrada through a purchase and sale agreement. A purchase and sale agreement does not constitute ownership by itself. You need to have the transaction registered at the Registration Office (Cartório) so they can have the Deed (Escritura) updated with you as the most recent owner. Delaying the "escritura" procedure results in several risks (e.g. : the seller may sell the property to someone else, the seller may die, someone else may claim ownership, etc.). We also represent foreign clients in Canoa Quebrada through a variety of legal services. If you need a lawyer in Canoa Quebrada, look no further. 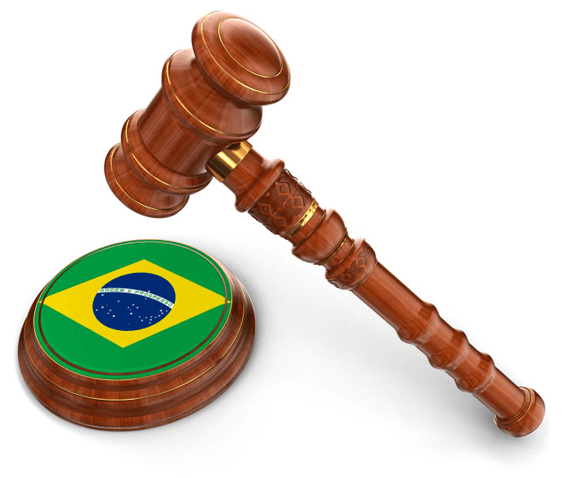 Our lawyers have been assisting foreign clients in legal cases in Canoa Quebrada for years. To learn more about the services we provide in Canoa Quebrada contact us at info@oliveiralawyers.com. Canoa Quebrada is a beach located on the east coast of the State of Ceará, 166km from Fortaleza. Its landscape is characterized by dunes, reddish cliffs, sea and bright sun. Canoa Quebrada was born from the small village of Esteves, and is located on cliffs of up to 30 meters of sea level. Discovered in the 60s by French filmmakers, from the movement Nouvelle Vague, Canoa Quebrada suffered a clash of cultures, which resulted in the feeling of freedom that prevails to this day. By day the French worked hard and, at night, indulged. 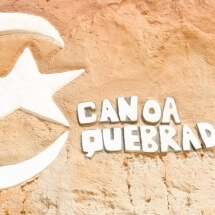 A moon and a star carved into the cliffs have become a symbol of Canoa Quebrada. Legend has it that on the team there was a Moroccan, an Islamic believer, who wanted to ask Allah for his forgiveness for his life in Canoa. He redeemed himself by having the moon and star sculpted on the cliffs. The brand eventually became the icon of the place. Canoa Quebrada was famous when it was discovered in the 70's by the Hippies who found it there, a place almost inaccessible, inhabited only by an Indian tribe and some fishermen, a simple and hospitable people that until today preserve the tradition of fishing with rafts in the sea . Some hippies married the natives, had children and moved to live in Canoa. It is possible to find many descendants of Swiss, French and other Europeans among the natives. 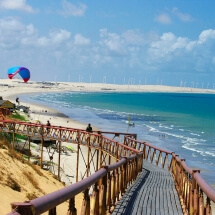 Canoa Quebrada was once again a movie spot in 1997 (Bruno Barreto's 'Bella Dona'), and has become one of the main tourist destinations in Ceará. 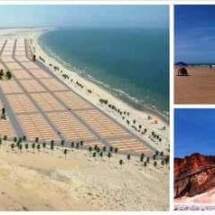 The site is also home to the APACQ - Environmental Protection Area of ​​Canoa Quebrada, with about 70 thousand hectares and even transforming from fishing village to a tourist place, Canoa has not lost its charm. Tourists from all over the world find an infrastructure of Beach Tents and Inns of all tastes. At night locals and tourists alike will find themselves on the main street jokingly nicknamed "Broadway", packed by the rhythm of Reggae and Forró. This variety of attractions makes Canoa boil of agitation every night, in the street that was previously beaten and today it contemplates a glamorous passage with shops of crafts, ice cream parlors, snack bars and several bar with a good music.